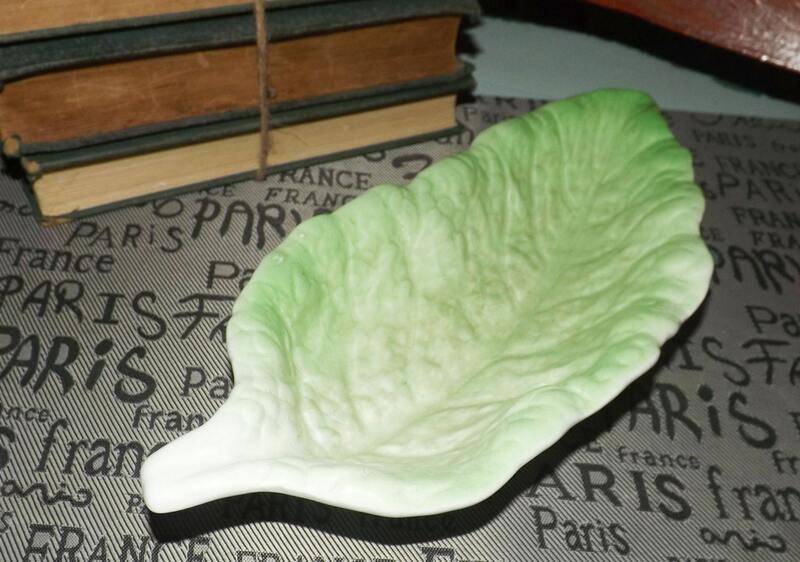 Mid-century (1950s) Royal Winton Grimwades embossed, lettuce-leaf serving dish | bowl in the style of CarltonWare. 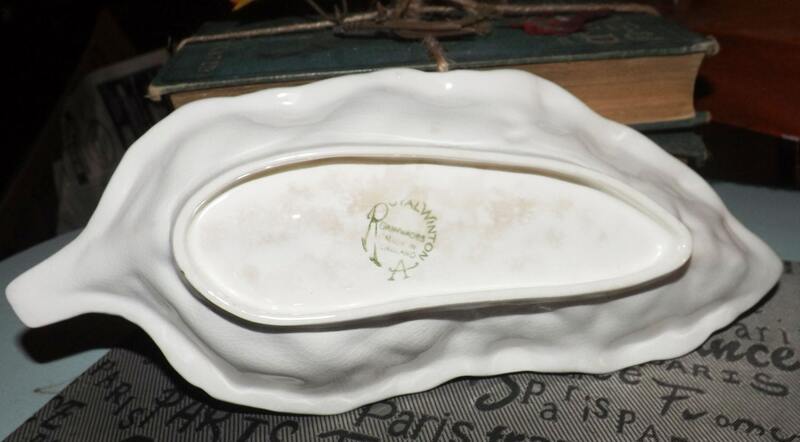 Mid-century (1950s) Royal Winton Grimwades embossed, lettuce leaf-shaped serving dish or bowl in the style of CarltonWare. 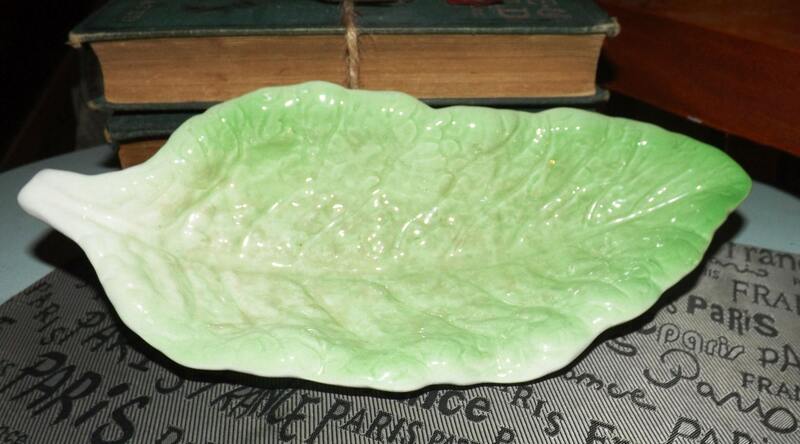 Hard to go wrong when choosing Royal Winton and this lovely, leaf-shaped embossed serving dish or bowl is no exception. 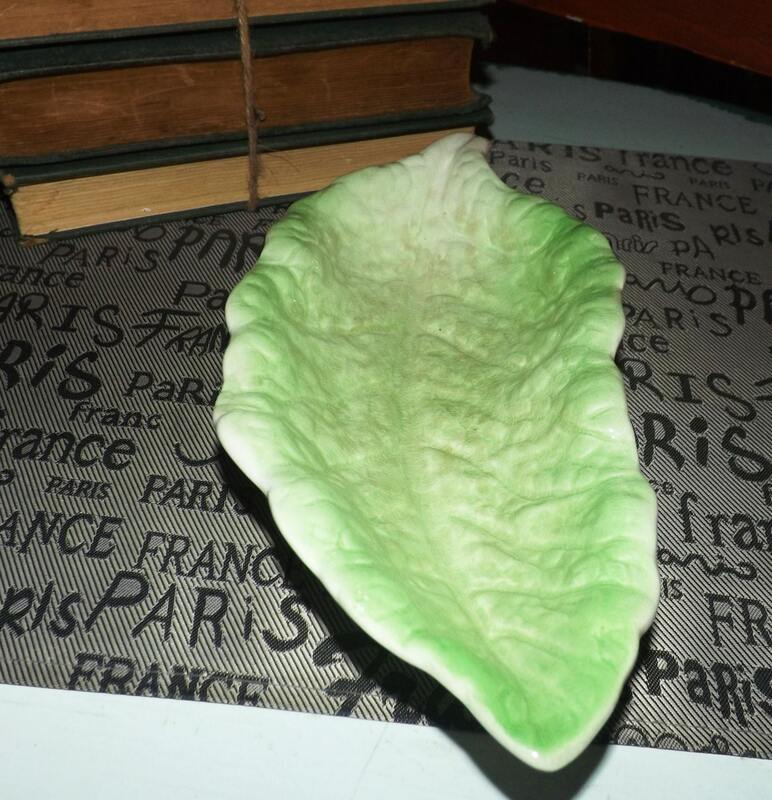 Crafted in the style of CarltonWare, this hand-painted dish is embossed, textured and colored to represent a lettuce leaf. In EXCELLENT! condition with NO! chips, cracks, or fleabites and NO! crazing. 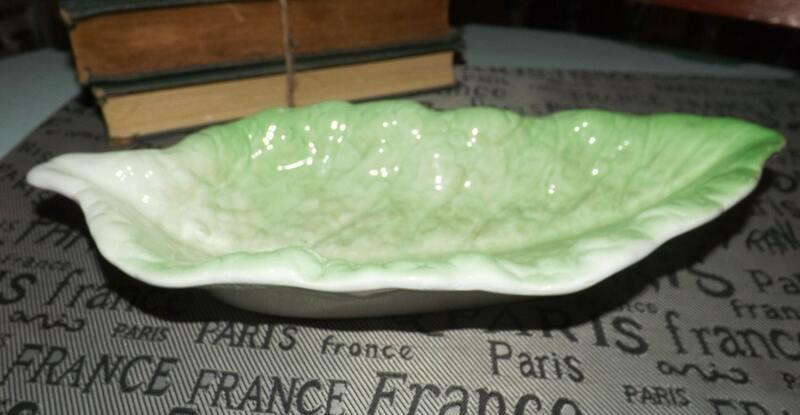 There is some browning to the REVERSE of the dish (please refer specifically to photo 5), but NO! marks or stains to the front and NO! scratches or other signs of use or wear.